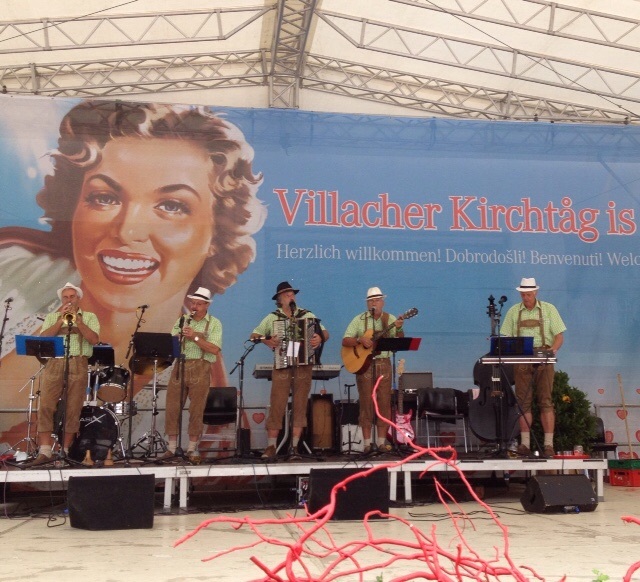 Despite the Carinthian summer being on the verge of rain and rather chilly, and despite our conspicuous lack of lederhosen ( although Adam has now rectified that) we enjoyed the famous July festival here - booths of food, bands every 50 yards, parades, dancing, Schnapps, and rides. 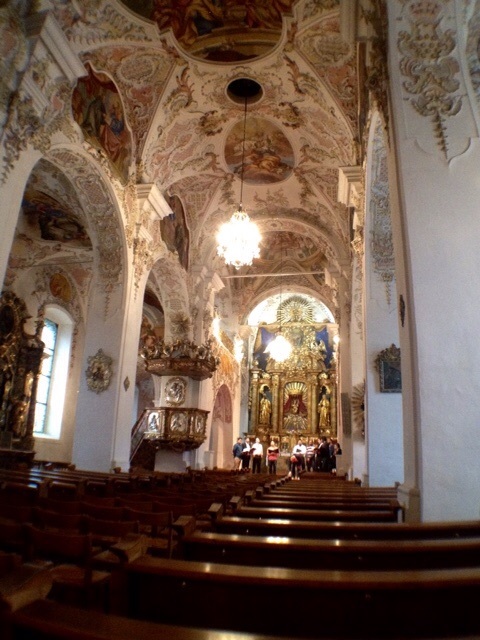 Our evening performance was in the Stiftskirche Ossiach originally built in l000 as a Romanesque basilica. 65 Abbots presided from then until l783. Around 1500 it went Gothic, then in the mid l8th century was rebuilt in Baroque style. The sound, as you can imagine, is lovely. Tomorrow we have a marathon bus day which will get us almost to our next gig which is in Lemgo, Germany. We'll overnight in Kassel on the way. Supposed to be sunny.